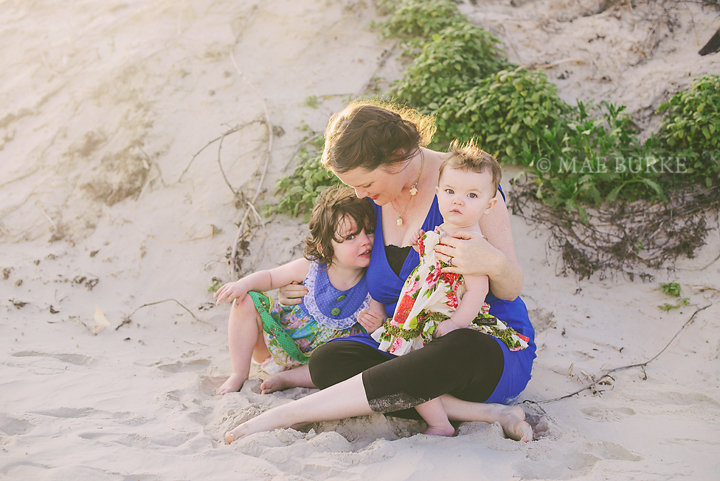 This weekend, to celebrate Valentine's Day a few local mamas and their babes met me at the beach to celebrate the love of their wee ones.Here are a few of my favorites from the shoot. I faced some interesting challenges during these sessions. First, I got my car stuck in the soft sand like a total tourist. HOW. EMBARASSING. But thanks to a gentlemen who was out that day only to pull out losers like me, I got out relatively quick! This was also my first shoot with all new equipment. Seriously. All. New. The only thing that stayed the same was my trusty 50 mm lens. Even my computer and editing software were completely new to me. Finding my rhythm with the new set up is fun and a challenge. These moms, on the other hand, were a dream to work with. They love their babies with ease, took direction well, and were just plain GORGEOUS! Thank you so much for spending a sunny, albeit chilly, evening out on the beach with me, mamas.